AKEL is one of the largest electrical companies in Europe, provides a full range of comprehensive solutions and engineering services to energy and transport. The company hasextensive experience in developing, implementation, and technical support of projects for top companies in Russia and CIS. 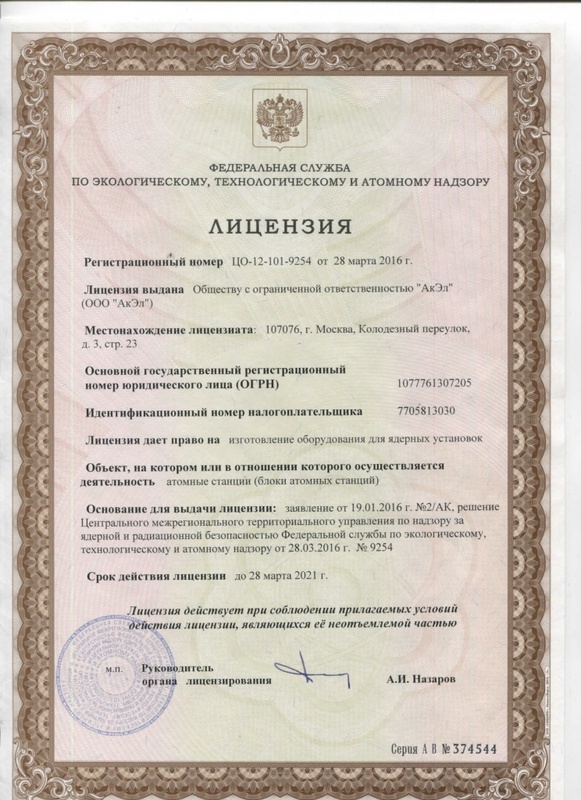 The quality of service is confirmed by the licenses package and certificates, including working certificates with Federal Service for Ecological, Technological and Atomic Inspection of Russia. AKEL- is professionals team. For more than 10 years our company have experience in realization of complex solutions for metallurgic industry, oil and gas, nuclear, energy and transportation industry. We are proud that our offers do not pass the chemical and petrochemical industry. We work with companies Gazprom, Lukoil and Rosneft. We supply electrical products for both new facilities and for repair of existing equipment. It is a great honor and a huge responsibility for us to supply for companies of different industries. Our partners appreciate stability of supply and product quality. For the convenience of our customers, we always keep a stock of and make every effort so that orders are fulfilled in minimum term. If you need accessories or spare parts for machine tools or robots, we will be able to interest you. Along with companies, that we traditionally present in all industries, our offer will be supplemented with the controllers, sensors, actuators and control panels, wiring accessories, cabling and wiring products, enclosures etc. Harsh conditions, difficult technical process. Metallurgy makes very high demands on the electrical products. Our customers, the company "Severstal", "Metalloinvest", "Norilsk Nickel" know that we supply only the best products. The list of products supplied to the nuclear industry is very wide. Server racks; power electrical and electronics; connectors and switching components; automation components and chips. We offer a full range of equipment for the production of panel equipment, automatic equipment on low and medium voltage. Our company has extensive experience with Russian railcar manufacturers. Our clients include Demikhovo Machinebuilding Plant, Tver Carriage Works, Kolomna factory, Metrovagonmash and NEVZ. In our face, they have found a reliable and responsive to their wishes supplier, ready to solve complex problems. We offer a full range of products, starting from the cases of the devices and to the electronic components to manufacturers of electronic devices and developers of automatic control systems. Our customers can always count on low prices and good terms of delivery of products. We would also like to highlight a special offer of our company is manufacture of printed circuit boards according to clients ' drawings and deliveries of electronic components from leading manufacturers.